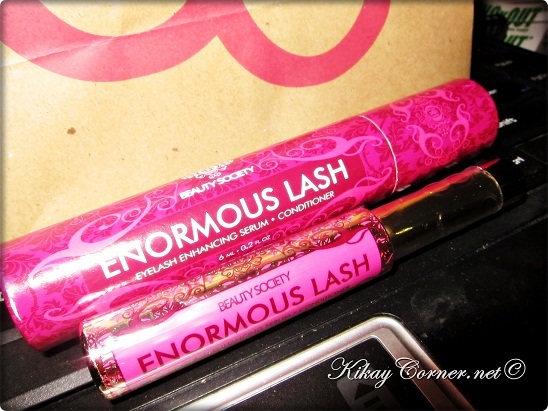 Three weeks ago, I got myself a tube of Enormous Lash from Flawless. After resolving that eyelash extensions are not really for me, I was thrilled to find out that my super short lashes have hope with innovations like Enormous Lash. Don’t get me wrong, I did love the Betty Boop lashes effect when I got a set woven into my lashes. But my already short lashes got even shorter when some strands went with the extensions that came off. The fume too, from the medical grade glue hurts my eyes like crazy. And this really is the primary reason – I love burying my face in my soft pillows when I sleep. I can’t do that when I have extensions on. The strands will all go their own crazy ways, if I do and would make me look really strange! And so I figured eyelash extensions can be for some but clearly, it is not for me. From what I have learned, Enormous Lash has been around for a while now. But it was reformulated such that it does not include paraben and prostaglandin like it used to. 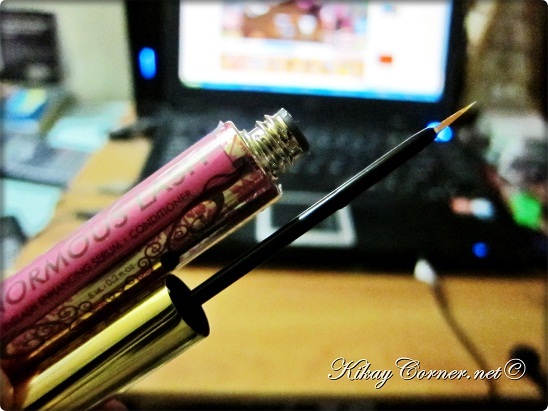 Enormous Lash comes in a tube like that of a mascara with an applicator like that of a liquid eyeliner. I was told to apply it twice a day and expect a result after a month. So although I have been religiously apply it everyday, I rarely do it twice. The only not so pleasant thing about it is whenever I accidentally poke the applicator within the eye membrane. It triggers tears when it does. But it does not happen when I am extra careful, which I rarely am. So I keep reminding myself, “slowly, but surely.” Because tears will dilute the formula and it will all go to waste. And even as it cost me P3,999.00, it is anything but cheap. I was told that Enormous Lash also works on the eyebrows as well. So I’m putting it to that test as well.